Colin Curtis was sure he'd be an easy out, nevertheless, he kept hustling. He sprinted to first base, then to second, all the while waiting for his fifth-inning popup to land in the glove of an outfielder. 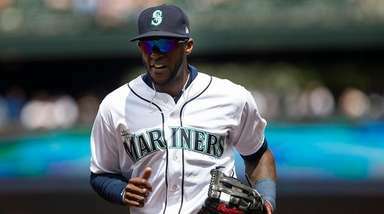 However, Mariners second baseman Chone Figgins had lost the ball in the Yankee Stadium lights and Curtis ended up with his second double of the season in yesterday's 7-0 loss to the Mariners. Call it luck or just good old baserunning instincts, things just seem to be falling into place for the 25-year-old Washington native, who made his first Major League start last night. Curtis, who went 1-for-3, has emerged as an efficient bat off the bench since joining the team on June 21. He's hitting .333 (3-for-9) with a walk and four RBIs in seven games. "In baseball, you've got to be confident that you've got what it takes," said Curtis, who started in leftfield in place of the injured Brett Gardner. 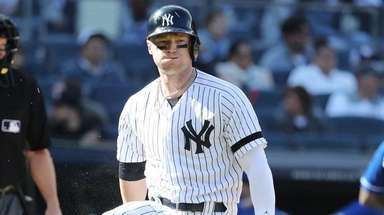 He and teammate Chad Huffman, 25, helped spark a dramatic extra-inning comeback against the Dodgers on Sunday when Huffman singled in the go-ahead run in the ninth before the Yankees tacked on another run on a Curtis groundout and Dodgers error en route to an 8-6 win. 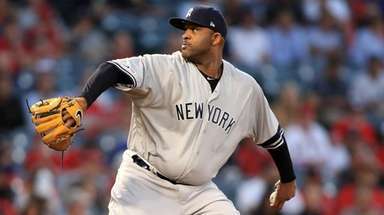 They may not be big names on the bench, but they're getting the job done," Joe Girardi said. "These guys have played well for us," the manager said of platooning the pair. "And they play hard. I know you're going to get everything from them that they got that night. I'm comfortable putting them up." Said Huffman, "Whether you're a veteran or a rookie, you've got to go in and do your job - and do it well. When Joe calls on us, whatever he needs us to do, make sure you get the job done," said Huffman, who is hitting .200 (3-for-15). For Curtis, it was just another day at the ballpark. Another day to live out his boyhood dream. Another day to extend his Yankee career a little bit longer. Few things can unnerve him now, including the prospect of being sent back down to the minors. But after being diagnosed with testicular cancer at the age of 15, he's learned to remain even-keel about most things. Curtis was asked about his uncertain future with the Yankees. "I think it's just a different perspective in how you view setbacks," said Curtis who has been cancer-free for the past four years. "It's not going to be the end of the world and you're going to be able to fight through it and hopefully things will get better. Rieber: The King Felix model is just rightWith King Felix, it's no rules, just right. Hernandez shuts down Yankees in 7-0 winJavier Vazquez battled to give up only three runs in six innings as the Yankees lost, 7-0. Yankees' Eiland works on Burnett's mechanicsOn his second day back as Yankees pitching coach, Dave Eiland took on his most pressing assignment: fixing A.J. Burnett.